Authorities have arrested and charged with murder, a Maryland day care worker who was captured on video “torturing” an 8-month-old girl who later died. Leah Walden, 23, is charged with murder, assault, child abuse and reckless endangerment in the death of Reese Bowman at Rocket Tiers Learning Center on Tuesday, Baltimore Police said in a statement. “Reese Bowman, in my opinion, was tortured,” said Col. Stanley Brandford, the chief of the police department’s criminal investigations division. 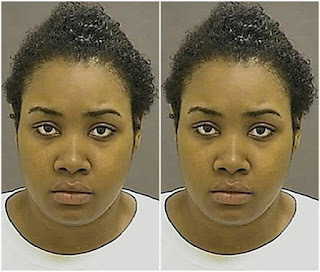 Brandford told Baltimore Sun that the video shows Walden using “excessive blankets, which fully covered the child’s head, violently snatching the child out of the crib with one arm, swinging at the baby as if she was slapping her, and placing pillows over the baby’s face.” Walden also walked out camera range several times while holding the baby. Police took Walden into custody early Thursday. Court records for her case were not yet available online to show whether she had obtained an attorney. Police said officers were called to the day care Tuesday afternoon for a report of a baby not breathing. Medics performed CPR on the infant, who was taken to the University of Maryland Medical Center and pronounced dead a short time later. Brandford said there were no obvious signs of trauma, but detectives started a routine investigation. Reese was awake at the time; another baby in the same room with Walden and Reese was not hurt. Reese’s family released a statement saying they were suffering “tremendous pain” and asking for privacy, news outlets reported. “Our hearts are broken. No family should ever have to experience the loss of a child under any circumstances,” the statement said.